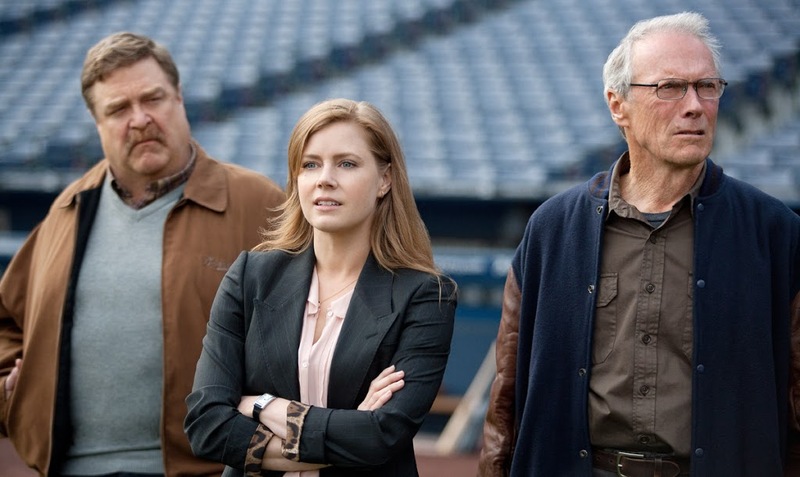 Article first published as Blu-ray Review: Trouble with the Curve on Blogcritics. Had it not been for an A-List cast, Trouble with the Curve would’ve fallen squarely into B-Movie territory. That’s not a slam against the film. It is a perfectly enjoyable movie that seems satisfied with being average. The only thing that lifts it into slightly above average territory is the strength of its three main stars. Clint Eastwood, Amy Adams, and Justin Timberlake all breathe a little extra life into what would have been an otherwise forgettable film. 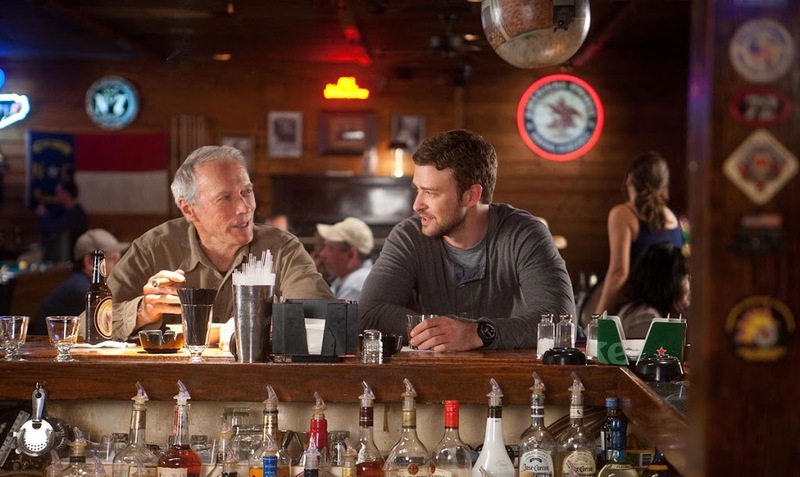 Eastwood stars as Gus, an aging baseball scout, who refuses to accept he is losing his eyesight. Gus also has a troubled relationship with his daughter Mickey (Adams). Gus has been a talent scout for the Atlanta Braves for many years, but his co-workers have begun to doubt his ability to pick good talent. This doubt is never really explained, except that the management would rather use computer analysis to decide their picks rather than go out and watch real games. Gus has nothing but disdain for computers, but his diminishing eyesight makes it difficult for him to distinguish a good pitch from a bad one. When Gus is tasked with scouting hot high school prospect Bo Gentry (Joe Masingill), it could spell the end of his career if he screws it up. His friend Pete (John Goodman) persuades Gus’ daughter to tag along on the trip, just to make sure everything goes according to plan. The two are forced to confront the problems in their relationship and forge an understanding of each other. The downside to this film is that it doesn’t take any chances. Every plot point is hit so predictably, sucking any real tension right out of the film. Mickey is career-driven. She is too married to her rising career as a lawyer to find time for a boyfriend. Of course a love interest is introduced for her right away. Johnny (Timberlake) is a rookie scout, and former protégé of Gus. Johnny is scouting Gentry for the Red Sox and takes a shine to Mickey. Though the script is fairly perfunctory, the performances of the leads make it worth watching. Eastwood, Adams, and Timberlake do a good job of creating realistic characters. Adams in particular is effective at creating a conflicted dynamic with her father. Their relationship is not all bad, but the emotional baggage keeps the good parts from lasting. Eastwood also turns in a reliably good performance, but it’s hard not to think it’s the type of performance he’s done many times before. Timberlake is very likeable as the affable Johnny. This role doesn’t really allow him to stretch his legs, but he does a solid job with what he’s got. Unfortunately the supporting characters are not quite as interesting. They fall into stereotypes that serve no other purpose than pushing the story along. The baseball prospect, Bo Gentry, is an arrogant jock who thinks more about the glamorous life he will live as a major leaguer than improving his game. One of the baseball executives (Matthew Lillard) is so convinced Gus is obsolete, he doesn’t see contrary evidence right in front of his face. An underutilized Robert Patrick is almost a non-presence as the team’s general manager. The biggest downside to Trouble with the Curve is the overly clichéd storyline. It becomes too predictable to be interesting. Even an unexpected little twist turns out as exactly as one would expect, as soon as it becomes apparent where the story is going. The upside to the film is that, though predictable, the story is not a boring one. The main characters are relatable and easy to like. It’s all easy enough to watch and fairly entertaining. The Blu-ray presentation is very strong. The 1080p/AVC-encoded transfer looks great. The colors are vibrant, the grassy baseball fields are a nice bright green. Skin is evenly-toned and looks natural. Eastwood’s deeply lined face and five o’clock shadow is detailed. The sound is presented DTS-HD Master Audio 5.1 surround. Again the presentation is very high quality. Game sounds, like the applause of the crowd, the pings of aluminum bats, pop out of the speakers. The game sequences are where the mix comes the most fully alive. The Dialogue clarity is fine. Even Eastwood’s gruff whispery speaking voice is easily understandable at its quietest. The special features are minimal on this release, consisting only of two short featurettes. One is the five-minute “Rising Through the Ranks,” which spotlights director Robert Lorentz and Eastwood. Lorentz is a first-time director on this film, but has worked as producer and assistant director with Eastwood for many years. The second featurette is the six-minute “For the Love of the Game,” which is more focused on Adams and Timberlake. The package also includes a standard DVD and an UltraViolet copy. 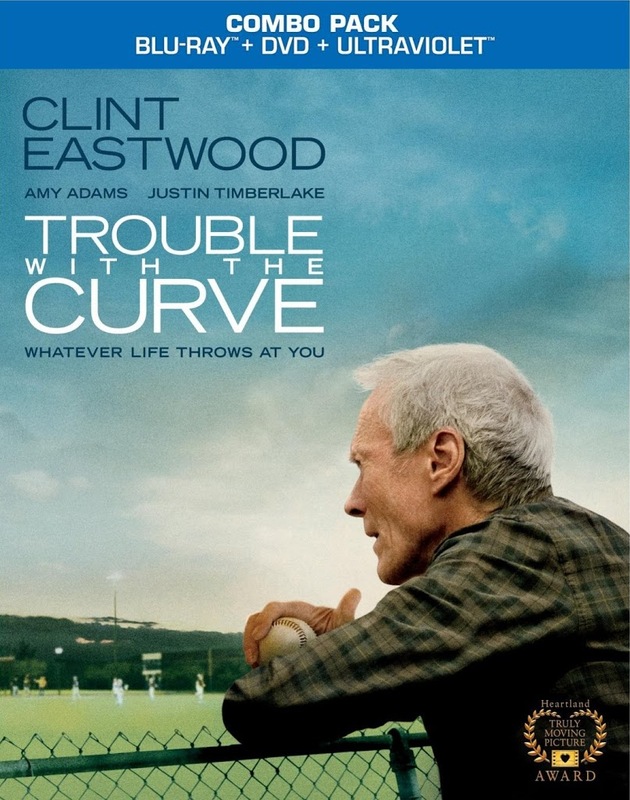 Overall, Trouble with the Curve is a fairly enjoyable film that only ends up being memorable for its lead performances.